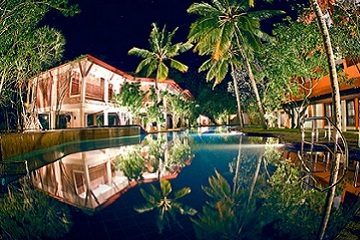 Barberyn Beach Ayurveda Resort is exclusively for Ayurveda clientele. The beach resort is equipped with an excellent Ayurveda health centre that provides relaxing, preventive and curative treatments for a range of medical complications. The resort provides a comprehensive system of healing the body, mind and spirit with authentic herbal medicine.